Which Toyota 4WD/AWD System is Best for Winter Weather and Off-Roading? In addition to a stellar lineup of front wheel drive (FWD) vehicles – plus one RWD sports car – Toyota has FIVE additional drive combinations, three all-wheel drive (AWD) and a pair of four-wheel drive (4WD) systems, across 11 models! Choosing the best one for your Pacific Northwest adventure, planned or not, could be important for your comfort, enjoyment, and safety. You’re daily driving needs are every bit as important as those rare instances when you need more traction performance from your Toyota. Why does Toyota have so many options while other car manufacturers get by with just one? The powertrain of your new 2018 Toyota vehicle does much more than drive the wheels, it has to move the vehicle while considering the driver, passengers, and cargo. It has to do all that while synchronizing complicated vehicle control systems with ever-changing road surfaces and weather conditions. In and around Metro Portland, that means flexibility and capability are paramount. One system for all vehicles just doesn’t cut it. 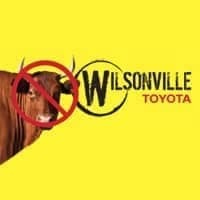 So each vehicle in Toyota’s lineup comes with a specialized drive system designed to match the rigors and requirements of that vehicle’s ownership needs. With that in mind, we’ve created separate resources for each of the drive combinations available. Take a look at the overview below and jump to each page for videos and more detailed information. To learn more about the difference between AWD and winter/snow tires, check out our blog post. Found in America’s sole all-wheel drive passenger minivan, the 2018 Toyota Sienna AWD. 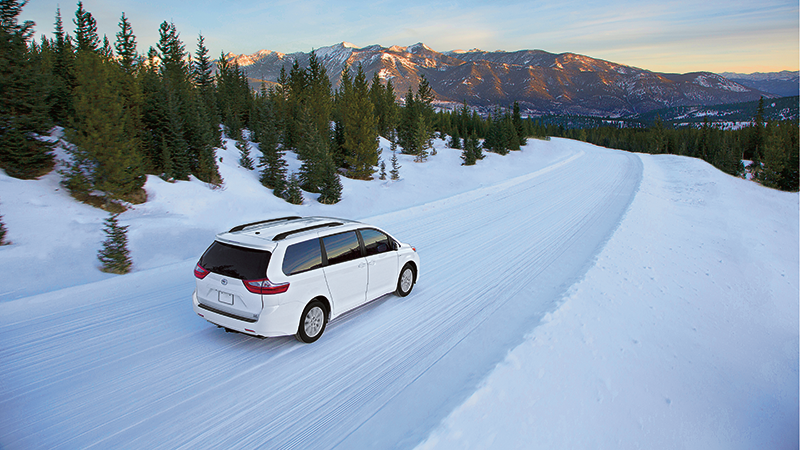 All Wheel Drive with Active Torque Control is also available on 2019 Sienna LE, SE, XLE and Limited models. This system powers the front wheels until slippage is detected, then automatically shifts into AWD mode to send torque to the rear wheels. This means you save fuel in everyday FWD driving while having reserve power at the rear wheels when needed, in up to a 50:50 front-to-rear ratio, without having to change your driving at all. In addition to automatically moving up to 50% of the powertrain’s torque to the rear wheels in low-traction situations, Dynamic Torque Control AWD has a massive added benefit, even in everyday driving conditions. A steering angle sensor detects the need in cornering to optimize front end traction and provide overall stability. So the Dynamic Torque Control AWD system sends up to 10% of the vehicle’s torque to the rear wheels, even in non-slip conditions, to improve handling through corners. Instead of using the typical center differential-type setup found in other AWD systems, Toyota’s All-Wheel Drive with Intelligence adds a powerful electric drive motor just for the rear wheels. 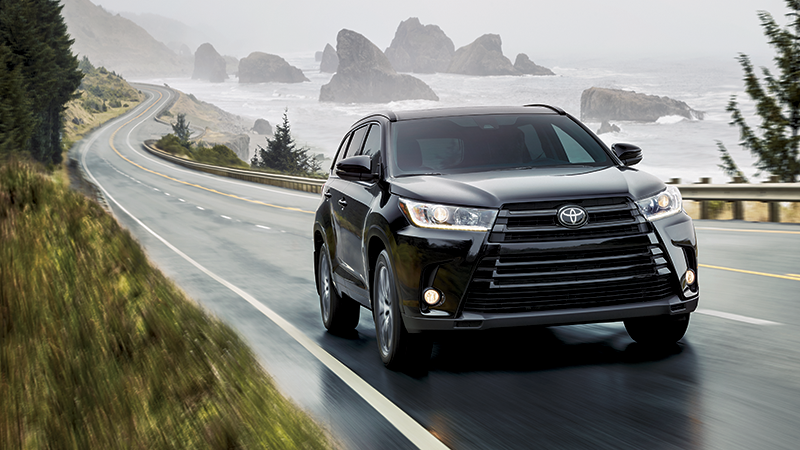 Just like Dynamic Torque Control AWD, Toyota’s AWD-i senses steering angle or wheel slippage and automatically dials up torque to the rear wheels to stabilize the vehicle and keep the driver in maximum control. In addition, AWD-i assists during acceleration, providing extra power at the rear wheels to help with quicker starts and, maybe surprisingly, towing. 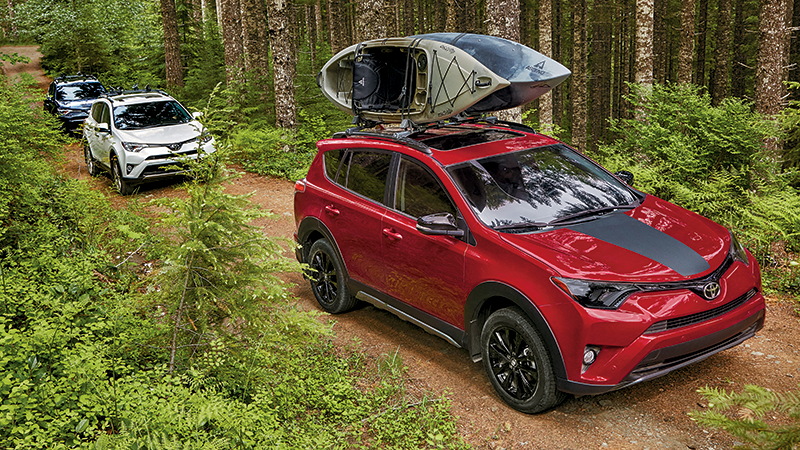 In fact, properly equipped Toyota Rav4 Hybrid AWD-i models have higher towing capacities than their gas-only counterparts! All 2018 Toyota Tundra and 2018 Toyota Tacoma models, plus 2018 Toyota 4Runner SR5, TRD Offroad, and TRD Pro models. Toyota four-wheel drive systems are legendary. 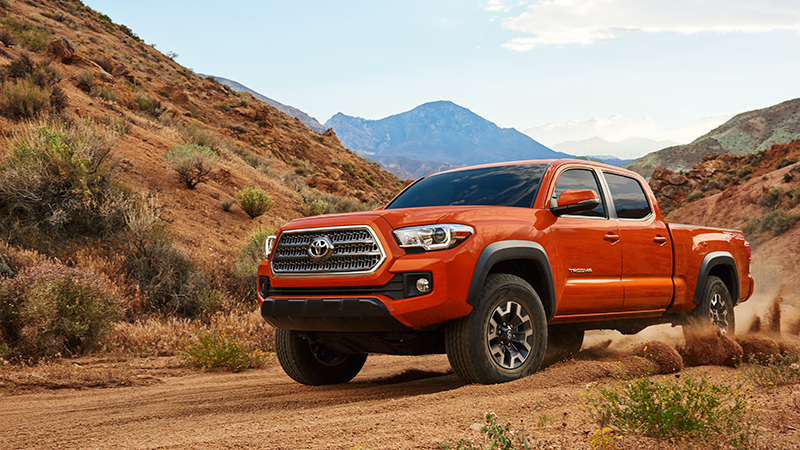 If you’re looking to really get off the beaten path, no AWD vehicle can handle the Pacific Northwest’s variable terrain like a 4WD Tundra, Tacoma, or 4Runner. At the core of the “part-time” 4WD system is the flexibility for the driver to select the best drivetrain mode for the environment’s demands. For everyday use, these vehicles get their maximum fuel economy by running in rear-wheel drive mode. But when needed, drivers can quickly shift the center differential – either through a gear selector or an electronic switch – creating a mechanical lock between the front and rear wheels. With the powerful Toyota drivetrain now sending torque to both ends of your rig, it’s purely up to your guts and the laws of physics to determine how far you’ll go. The key is that, in Toyota’s part-time 4WD vehicles, you make the front-rear connection when you’re ready. That means it’s in your hands to shift out of 4WD when you’re back on dry pavement to avoid the binding that often occurs during high-traction driving with a locked center differential. 2018 Toyota Land Cruiser and 2018 Toyota 4Runner Limited models. For the ultimate in utiltiy, refinement and capability, 3 Toyota SUVs with full-time four-wheel drive have to top your list. 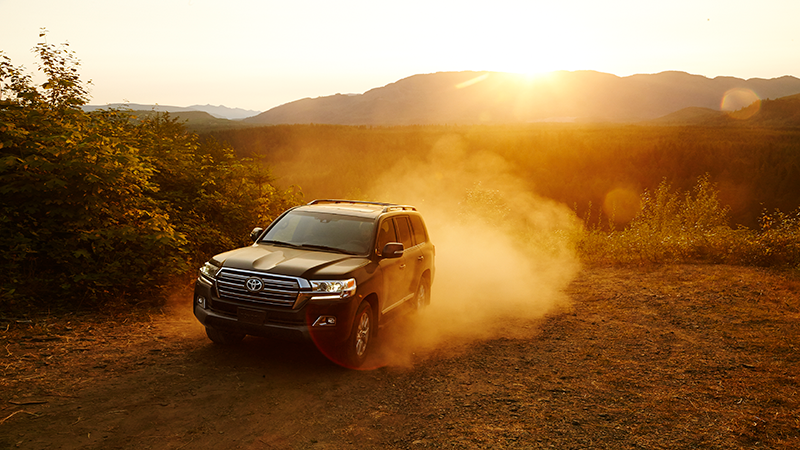 The 2018 & 2019 Land Cruiser and 4Runner Limited are the perfect contradiction for active Portland-area families: Luxurious and well-appointed on the inside; powerful highway and offroad beasts underneath. The full-time nature of this 4WD system means that the vehicle makes the decisions, instantly and accurately, about how to move power around the system. It means you don’t have to remember to shift out of 4WD in high-traction situations and, more importantly, you don’t have to break out the manual when you’re surprised with an unstable road condition. It’s what it says it is: 4WD all the time. Whether rock crawling, ice fishing, mall cruising, or road tripping, Toyota’s full-time 4WD systems will get you there safely and confidently.